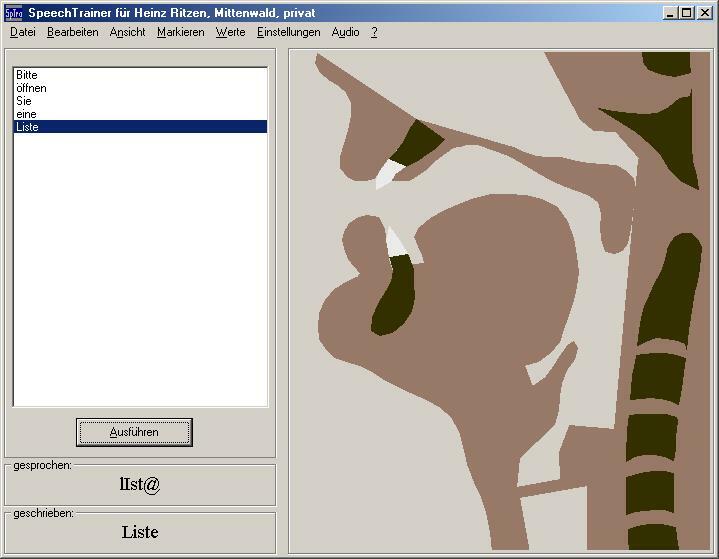 The software SpeechTrainer provides a visualization of speech mmovements (midsagittal views of articulatory movements) for speech sounds, syllables, words, and short sentences. SpeechTrainer can be used by speech therapists, speech and language therapists, teachers of foreign languages, etc. as a tool in for therapy as well as a tool for teaching. SpeechTrainer-Workshop on request (see this page in German).